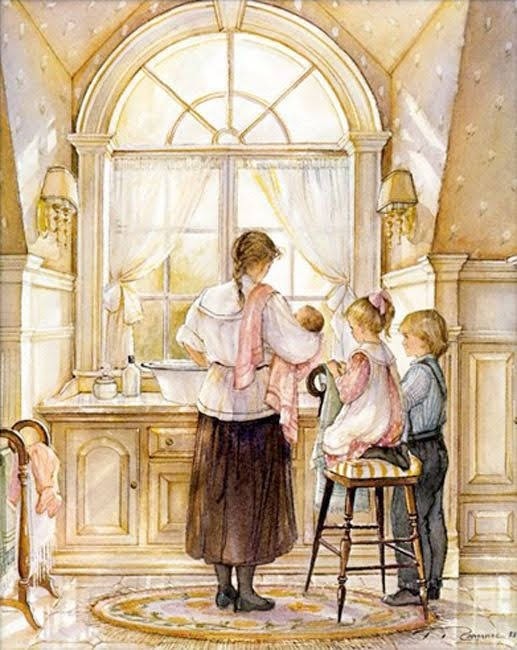 Today I am featuring paintings by Tricia Romance, a Canadian painter. 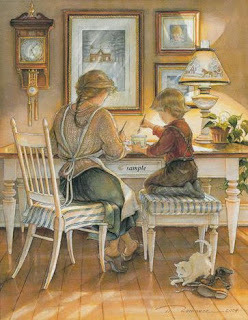 She is active today making the most sublime images of beautiful and tender moments in life. 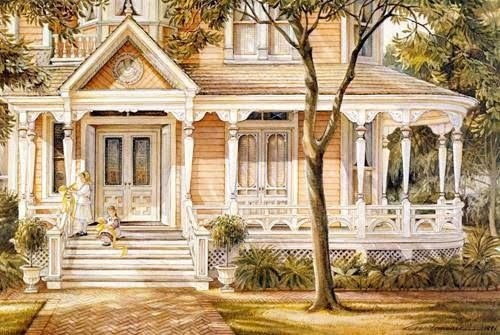 I understand that some of the house paintings are of her own house. I've seen these events many times and yet never even thought to snap a photo! In my own life, the children crowded around to watch baby's bath. I hope you are all going to get your life's work and mission completed today and that you have clarity and peace in your life. Ohhhh, she is one of my favorites! She is very well known, here, as she is located just an hour away. 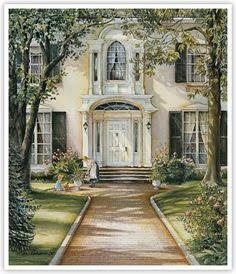 In fact, you could once tour her beautiful home (featured in her paintings) but it is now closed to the public. I did drive by and ohhh-and-ahhh with my husband last year, as stayed in her little town for our anniversary. 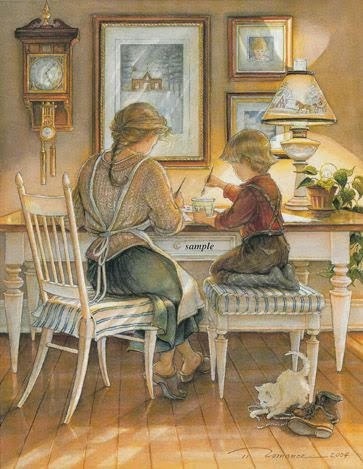 Her paintings are so lovely. Yes, Tricia Romance's work is lovely. Thank you for sharing! I am in need of something positive to think about today! I really like these. They bring a feel of bygone eras. Thanks for sharing.